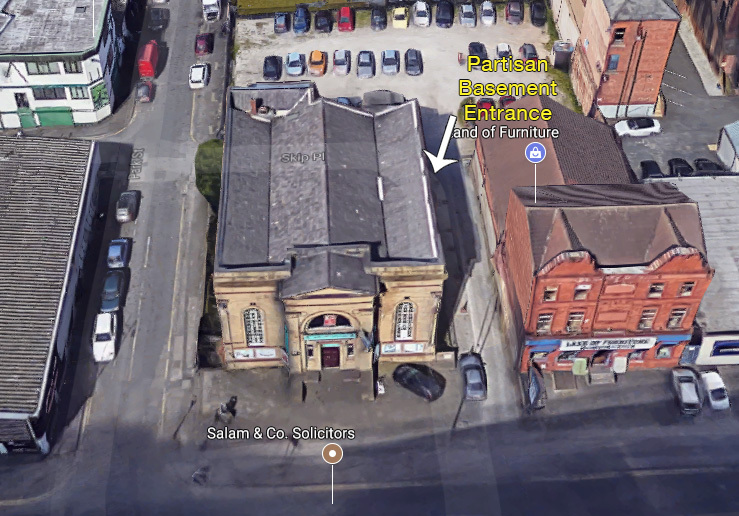 We are located on the basement and first floor of 19 Cheetham Hill Road. Our building has a large ‘Salam Immigration‘ sign on the front – it’s right next door to the snooker centre. For first floor events (meetings, workshops etc), please use the the front entrance. For basement events (gigs and other music nights) please use the entrance to the right side of the building as you face it (see below). Train / Tram: The closest train station is Victoria Station / Victoria Metrolink, a 5 minute walk from Partisan – exit the station to Hanover Street and turn left down Corporation Street then left again across the bridge (Miller Street). Keep going straight across the bridge until you see Partisan on the opposite side of the junction. Bus: The 135 bus goes from Piccadilly Gardens – it’s 4 stops to ‘Park Place, Strangeways’ and a 2 minute walk back down Cheetham Hill Road from there. Metroshuttle 1 and Metroshuttle 2 are FREE buses that stop at Victoria Station – see walking directions above. We do not have public parking available. The closest car park is Park Place Car Park (run by Total Car Parks). It is £3.00 for all day parking. Partisan is a 3 minute walk from here. We currently do not have regular opening times, but are open during events. Contact us if you’d like to visit outside these times. We can take card payments! Hurray! There are also several cash machines nearby, including outside the Co-Op on Corporation Street, and the Icici Bank which is a few doors further down on Cheetham Hill Road. Partisan is currently not wheelchair accessible. For full accessibility information, please see our accessibility page. 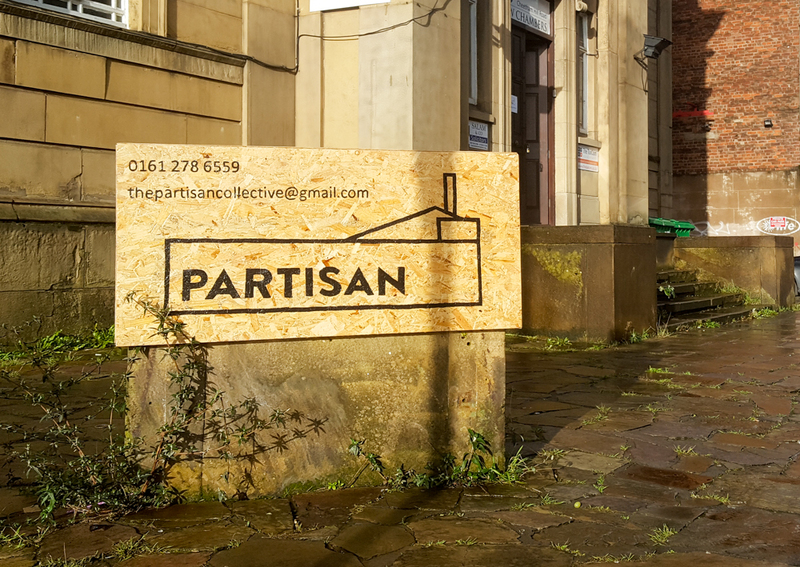 Partisan is a collective and volunteer run space for independent, community led, DIY and cultural based projects. 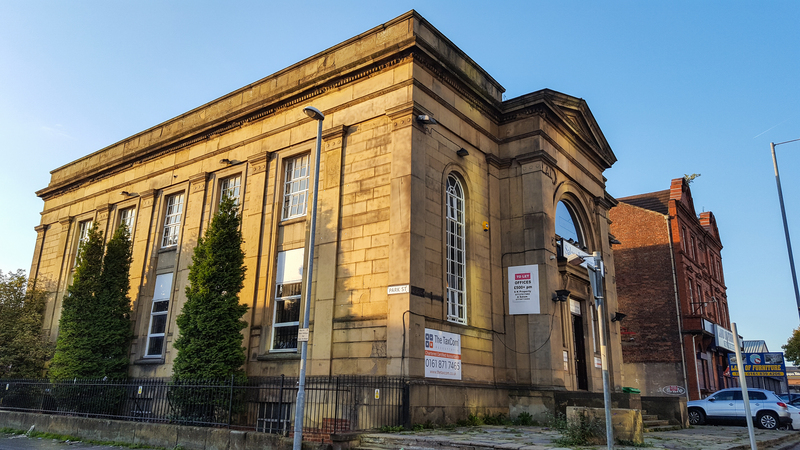 We have two floors for events, meetings, office space, live music, club nights, and art. Find out more about us or see our accessibility information. Get involved by joining up as a member, volunteering in a working group, booking the space for an event or giving a one-off donation. We are open to the public during events. If you would like to visit the space at another time please contact us. Copyright © 2019 Partisan. Powered by WordPress and Themelia.